So I got into the festive spirit of cycling recently. I was going to a Christmas party that was reasonably close to home, so I decided to ride my bike there. 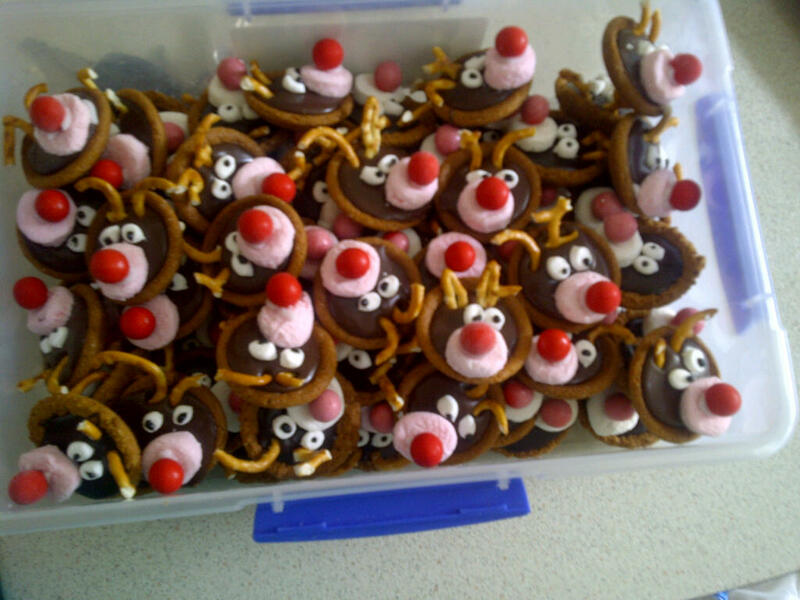 Problem was, was that I had also made a batch of Rudolph chocolate tarts to take with me. Enter, the touring bike. 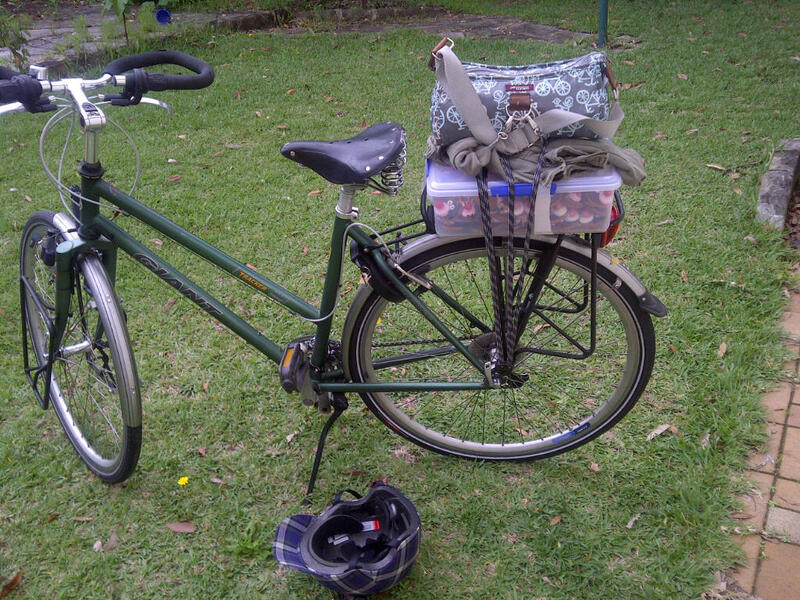 I bungee corded them onto my rear rack, and bungee corded my Po Campo handbag on as well (to hold my jumper down). I had to duct tape the plastic box to my rack to stop it slipping sideways (the box was pretty slippery), but apart from that, it worked really well (apart from the couple of potholes I hit along the way).